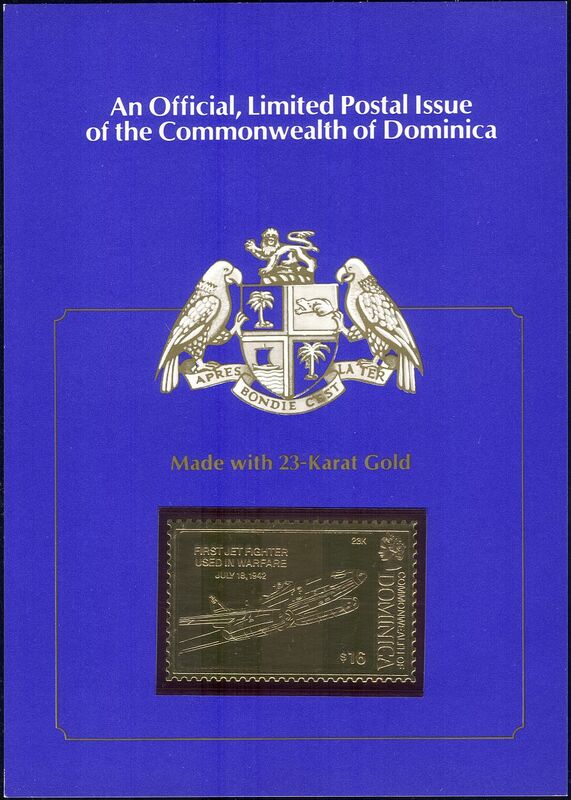 Dominica Aircraft : Firsts in Aviation 1 value, embossed self adhesive 23K GOLD leaf and Reverse Printed Presentation Card, featuring Messerschmitt 262 Jet Fighter - in superb u/m (mnh) condition. 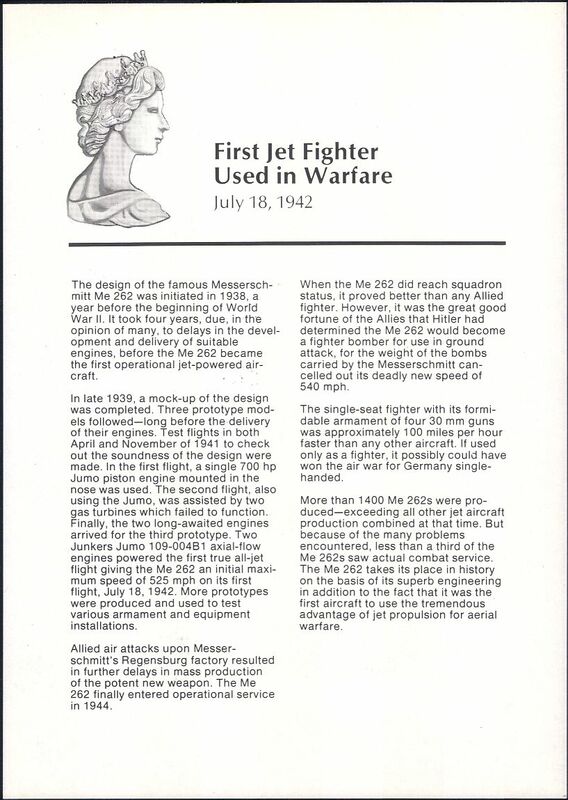 Excellent country, military, planes, aircraft, aviation, transport thematics. If you cannot find the specific stamp set or thematic/topic you are looking for either here in my shop or at the brumstamp stamp shop on eBay http://stores.shop.ebay.co.uk/The-Brumstamp-Stamp-Shop please do not hesitate to contact me. Enjoy browsing and shopping. Andrea!